Welcome to First Deadwood Cottages. Cottages are located just below red rocks on Main Street Deadwood. 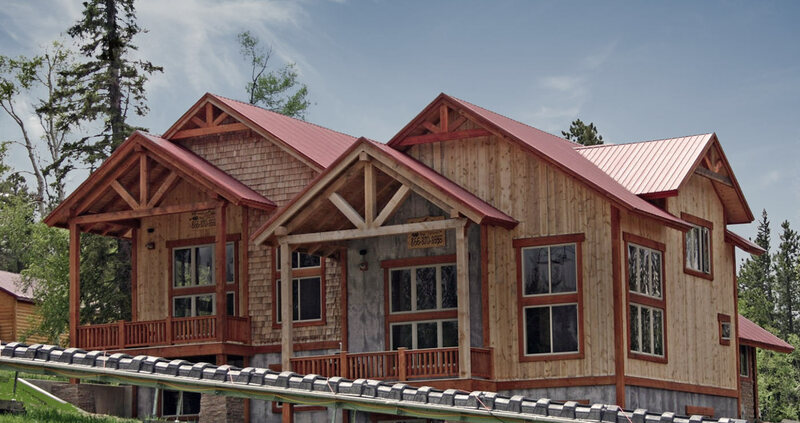 First Deadwood Cottages offers a convenient location and three unique Deadwood accommodations for couples, families and groups looking for a relaxed and cozy atmosphere. Each property offers two-bedrooms or more, free off-street parking, a hot tub and most have a full kitchen and laundry facilities. Whether you are looking for a room for a night or a home for a few weeks, the newly renovated cottages and are pet friendly and are a great place to stay in Deadwood. The convenient Main Street location is an easy walking distance to the action of downtown Deadwood. Leave your vehicle parked safely and enjoy Historic Deadwood events or the Sturgis Motorcycle Rally without the hassle. The Days of ’76 Rodeo and Museum are also within easy walking distance as well as over 40 restaurants, casinos and saloons. The Deadwood trolley stop is nearby if you wish to tour the town or museums for only $1.00. 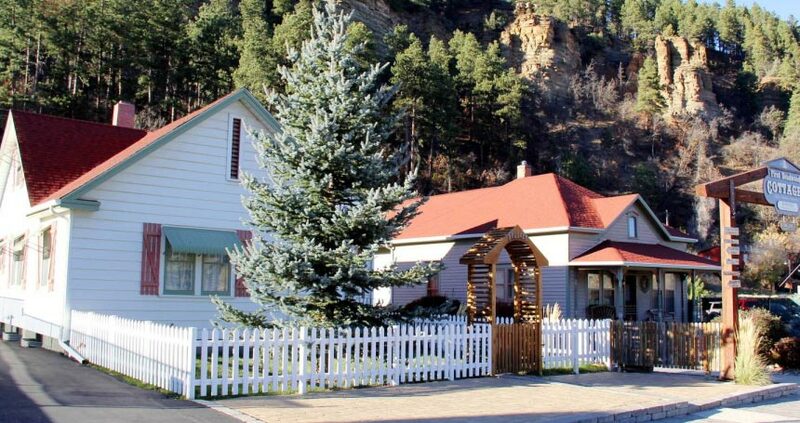 First Deadwood Cottages is your first choice for lodging in Deadwood! Cleaning Fee is paid at the time of booking. Stay 2 nites & get 50% off the 3rd night.